Craig Hermit sent in this report of TNA's Fan Interaction in Glasgow, Scotland from January 30th, if you attend a live event, wherever that may be, we'd love to hear from you also! Let us know what you think, we've seen quite a few articles from Craig recently, should he join the team? For the TNA critics out there who have been commenting on TNA's lack of fan support recently, they might have had a point within the USA, but the news of lack of interest never reached Glasgow. Last night, I attended the TNA Fan Interaction session, which was completely sold. There was certainly enough passionate fans there and made there opinions as vocal and as loud for all to hear. The set up for the Fan Interaction could have been organised a lot better with queuing outside the building and the layout of the interaction could have been better also. But I wouldn't blame TNA for this, probably the Glasgow Hydro organiser's themselves. Clearly unaware of the sheer volume of fans ready to meet the wrestlers, next time they should be more prepared when WWE arrives later this year. The stars who attended the fan interaction session were Bad Influence (Christopher Daniels & Frankie Kazarian), Velvet Sky, James Storm, Gunner, TNA Knockout's Champion Madison Rayne, Mr Anderson and Chris Sabin. The highlights for this writer were Bad Influence, the duo were fantastic, they brought their own brand of brilliance and humour to every fan. Madison Rayne was thanking the fans for coming along, Velvet Sky and Gunner separately were brilliant and accommodating too, James Storm wanted beer and Mr Anderson, Mr Anderson was brilliant, all the fans that spoke to him left with either a smile or were buckled in laughter, this writer included. Only Chris Sabin didn't seem to be as enthusiastic as the others, and other fans mentioned this too. Then onwards to the merchandise, every item of clothing was there from TNAStore and an exclusive range of Knockout pictures as well. If you were after TNA merchandise you would'nt have been disappointed. Even Jeff Hardy t-shirts and Sting masks were for sale as well. However for TNA, that would be my only criticism, as Hardy nor Sting was on the tour and the latter no longer with the company, this didn't quite seem right to me. But this was minor and everyone I spoke to during the fan access and after it were in high spirits. They did say it was worth the money. 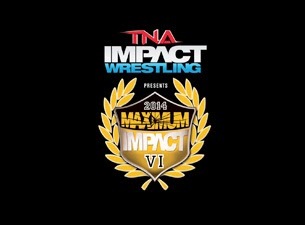 The only main disappointment were the absences of Kurt Angle, Magnus, Bully Ray, Austin Aries, Samoa Joe and Bobby Roode, except it looked like there were reasons for this as many if the stars mentioned missing preformed twice in the night, and if they preformed once in the event were leaving to be in the news TNA Fan Session the next day. Perhaps TNA should think of that for next year as it comes back to Glasgow as we will want more. Overall, the stars who attended were fantastic, gave the fans what they wanted and were entertaining. It was a great start to a fantastic event.